Traffic congestion in cities is a universal problem. Hikvision shows how the latest-generation video technology is helping authorities keep roads flowing and drivers accountable so we can all get from A to B quicker. Globally, urban road networks are already saturated. This causes long delays for drivers, increasing frustration and reducing productivity. It also creates public health risks due to poor air quality. Together, the effects of excessive traffic negatively impact city dwellers’ quality of life and the sustainability of their cities. Needless to say, traffic becomes a headache for city administrators, particularly in cities where the construction of modern roads is not keeping pace with increased vehicle ownership. To find long-term solutions, city authorities are looking into the root causes of traffic congestion. In Hong Kong, the city’s Transport Advisory Committee published a report identifying the top-three causes of excessive traffic: (i) too many vehicles on roads; (ii) illegal parking; and (iii) too much road works – factors that all contribute to traffic jams in cities worldwide. Critically, this citywide view of traffic allows operators to take action in real time to reduce the root causes of congestion, such as misuse of bus/transit lanes or illegal parking. In the event of a traffic incident, traffic guidance solutions are also great news for drivers. Congestion information is displayed for them at each intersection, helping them predict their arrival time and – if delays are serious or persistent – to choose alternative routes or travel options. Traffic signal control solutions allow traffic lights to be coordinated to keep traffic flowing as freely as possible. They consume traffic data from traffic guidance systems to understand where traffic is building up at an intersection. To do this, intelligent traffic cameras count vehicles that cross an intersection as well as detect the length of vehicle queues at an intersection. They simultaneously share the real-time data with the traffic signal system. Based on this data, traffic lights can be coordinated automatically to even out the traffic flow, giving traffic more or less priority, as needed, by extending or reducing the time available to cross the intersection. This helps to speed up journeys, reduce driver frustration and eliminate the need for manual intervention by traffic police when traffic builds up in a particular direction. Hikvision Traffic flow cameras can be used as virtual detection loops that can act to reduce the cost for traffic flow and congestion optimisation. Hikvision has developed ISAPI (IP Surveillance API) with customised firmware to support metadata integration with thirdparty traffic controllers. Metadata that can be abstracted from traffic cameras include: lane number, traffic, average Speed, traffic status, lane queue length, headway time, headway distance, lane time occupancy, lane space occupancy. In many cases, traffic congestion is caused by illegal or irresponsible road use, such as illegal parking and use of bus lanes. With traffic enforcement video solutions, such as wrong-way driving detection, illegal U-turn and illegal parking detection, these kinds of incidents can be identified in real time, allowing operators in traffic control centres to alert authorities immediately. This makes it faster to react to incidents and remove obstacles on roads, while also holding drivers accountable. As well as helping to reduce traffic congestion, traffic enforcement video solutions can also help to improve public safety. They can be used, for example, to detect drivers who run red lights, speed, or otherwise drive dangerously, and to take action against them. 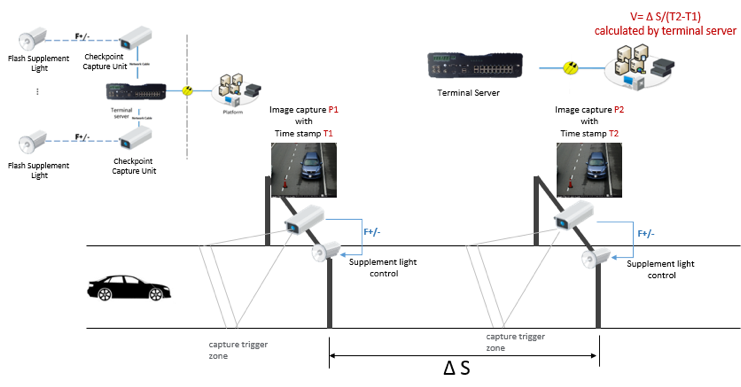 Compared to traditional checkpoint speed measurement, Segment Speed Measurement provides higher levels of accuracy. Drivers are unable to avoid these cameras by installing detectors or using stealth coatings. The trend of traffic enforcement technologies within the Australia and New Zealand markets is a combination of Automatic License Plate recognition (ANPR) function and generic traffic surveillance. Traditional road video monitoring is mainly used post-event, with generally lower efficiency and lower image quality. 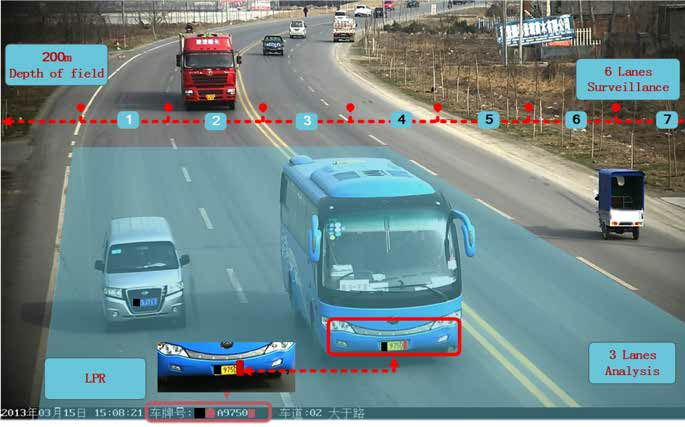 Hikvision uses high resolution, high accuracy ANPR plus DarkFighter technology that can read licence plates from multiple traffic lanes and record them to a searchable database. 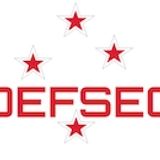 License plate listings of vehicles of interest can be loaded into the database, and notifications received when their license plates are recognised. With urban traffic management now topping the agenda for most city authorities, intelligent video technology is a beacon of hope. By monitoring traffic in real time, these kinds of solutions allow city authorities to take immediate action to ease bottlenecks – reducing driver frustration, reducing lost productivity and improving urban air quality. Additionally, real-time incident detection helps to improve overall driving standards, ultimately reducing the number of accidents and saving lives. As more and more city authorities begin to see the value of latestgeneration video solutions for traffic management, adoption of the technology is accelerating. This is especially the case where cities have been able to implement a suitable regulatory and funding structure to support the implement of these solutions. To find out more about Hikvision intelligent traffic management with latest-generation video solutions, AI and deep learning, visit https://www.hikvision. com/en/Solutions/Traffic.